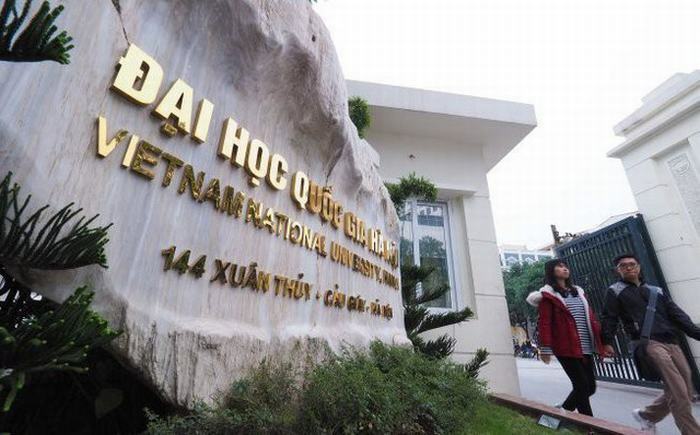 TTO - Seven Vietnamese universities entered the top 2500 universities in the world according to University Ranking by Academic Performance - URAP. There are approximately 20000 universities in the world. University Ranking by Academic Performance - URAP has just announced the ranking of the world's top universities. In 2018-2019, there are 2500 Universities selected in this ranking. 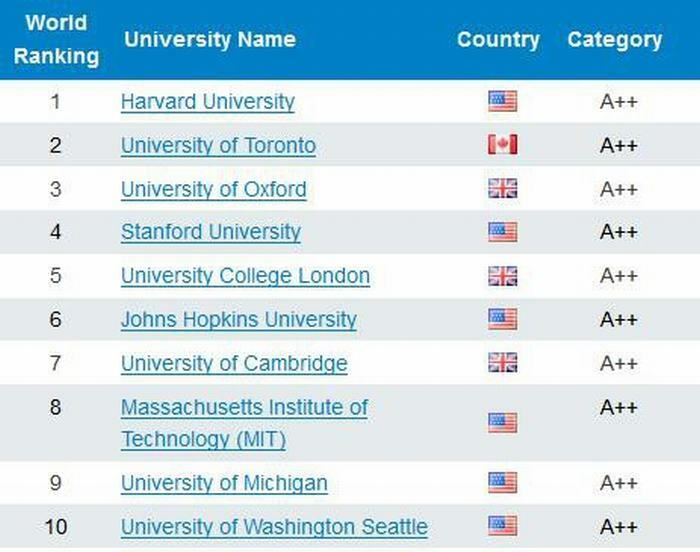 The first place is Harvard University (USA), followed by University of Toronto (Canada), University of Oxford (UK) and Stanford University (USA). There are seven Vietnamese universities in this rankings. 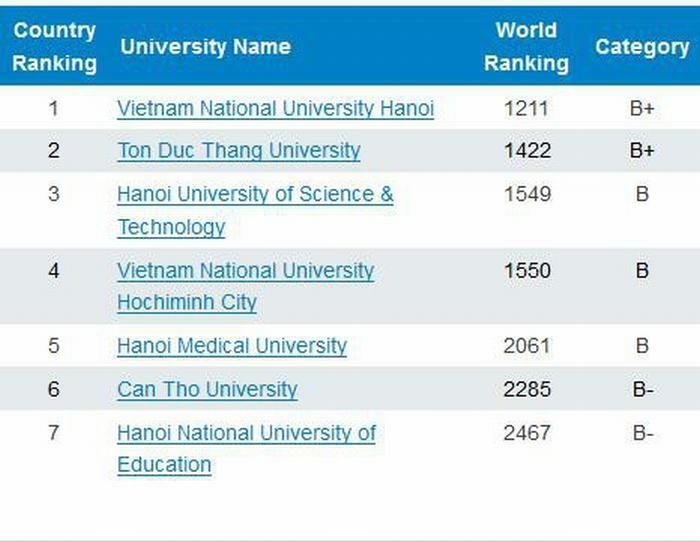 Accordingly, Vietnam National University of Hanoi is ranked 1211 in the world. Ton Duc Thang University is ranked the second place in Vietnam, 1422 in the world. Next, Hanoi University of Science and Technology is ranked 1549, Vietnam National University of Ho Chi Minh City is ranked 1550, Hanoi Medical University is ranked 2061, Can Tho University is ranked 2285. URAP is a ranking organization established in 2010 by the Middle East Technical University, a prestigious Turkish public university, ranked 601-800 by the Times Higher Education (THE), UK. The unit responsible for data analysis and ranking is the Information Science Department of this university, a department of data science. 6. International cooperation in scientific research: 15% of total points. According to experts, the use of the world's leading scientific database (ISI), an objective assessment by a scientific organization makes URAP one of the most reliable university rankings. According to Dr. Le Van Ut, Head of Office for Scientific and Technological Development Management of Ton Duc Thang University, URAP uses a set of scientific and objective evaluation criteria, not only the number of scientific publications but the quality of scientific works is also prioritized. This ranking does not emphasize 'confidential vote' by the expert who is being picked up or the criteria for the choice of expert, whether the selected expert understands and evaluates the universities objectively or not… as the way of other current rankings in the world. Annually, the world university ranking agencies respectively publish the list of the best universities for students worldwide. Each organization evaluates according to its own criteria. Some universities have stable rankings over many years while others have continuous changes in their rankings. Nowadays, there are approximately 20000 universities all over the world.